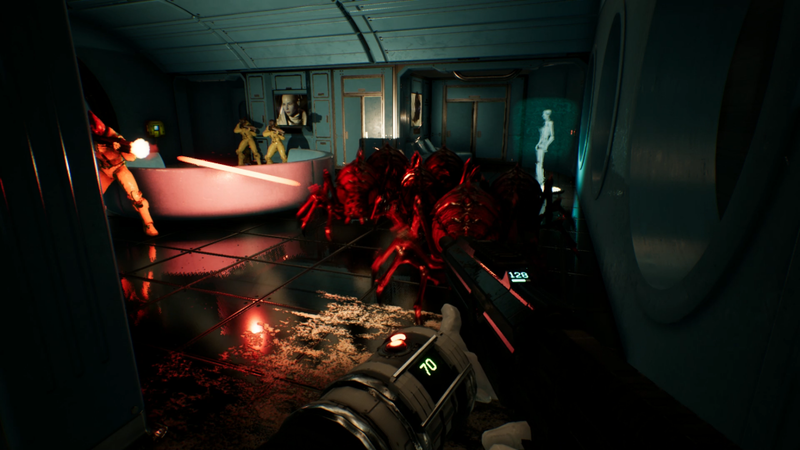 Yesterday Team17 and indie developer Radiation Blue released Genesis Alpha One, a new sci-fi, “rogue-like” game which combines resource gathering, ship building and first-person shooter elements to create a new type of deep space exploration. While I’m typically skeptical when any developer tries to integrate all of these aspects together under one cohesive umbrella, the trailer below makes it look like a very intriguing combination. Personally, I’m always up for another first-person shooting, resource gathering sim, especially when I am undertaking all of these activities so that I can build a massive space freighter to save humanity. Combine that with procedurally generated planets and on the surface it seems like an all-around comprehensive package, building off concepts that have been explored in interstellar game development in recent years. Your goal in quadrant Alpha One is to find a new home for your crew on board the ship, which you can expand by gathering resources throughout the galaxy. There are more than 300 planets according to the trailer, which appears to each have their own procedurally generated landscapes as well as resources to harvest. You’ll come into contact with alien species, and from what I could glean from the trailer it looks like everything in Genesis Alpha One wants to kill you. The aliens that you see in the trailer are almost exactly what you would expect if someone said the words” spider aliens”. We’ve seen these archetypes before in other games, but that doesn’t mean it will be any less fun to squish them with our array of weapons. Luckily you can outfit yourself with a veritable arsenal, all of which can be crafted using the game’s Workshop system. 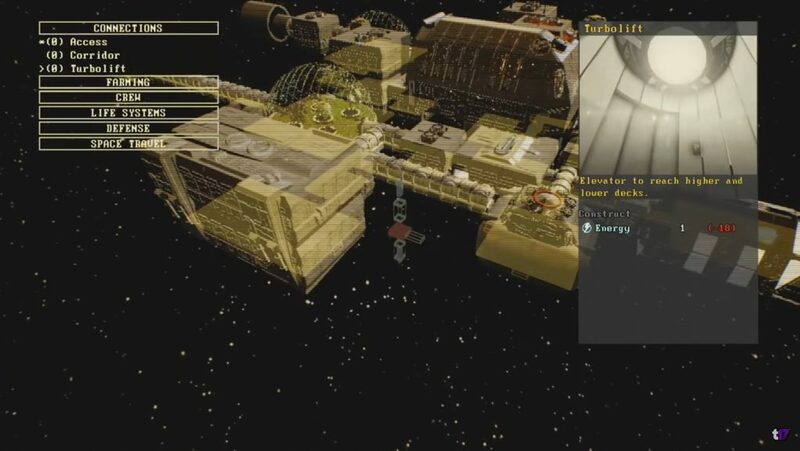 The combat is done through a first-person perspective, and there appears to be a substantial focus on outfitting your ship and base with defenses to prepare yourself for attacks from the indigenous many-legged species of quadrant Alpha One. In addition to your core goals of building and managing your spacecraft, mining for resources, exploring undiscovered planets for technologies, and fending off an unending tide of aliens, there is one more integral factor to ensuring the genesis of your crew. 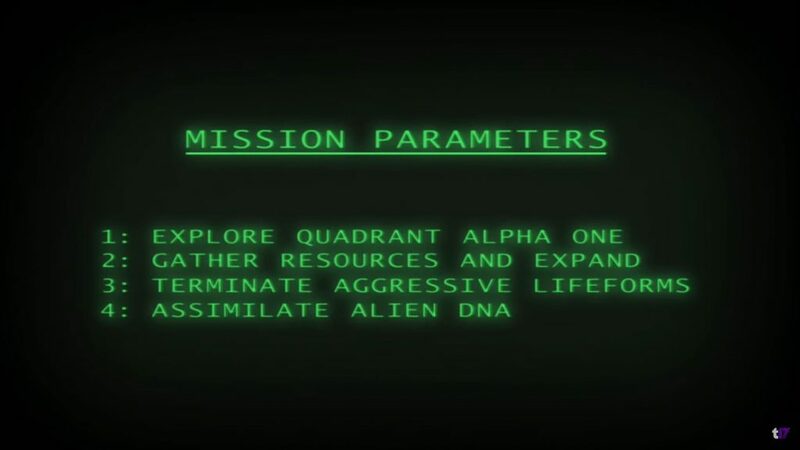 You have to synthesize alien DNA and splice it with that of your own crew members to improve their own genomes and ensure their survivability in these new harsh environments. This is the piece that really sets Genesis Alpha One apart from other games of a similar ilk, and I’m excited to delve into the DNA system to create my own unique crew. 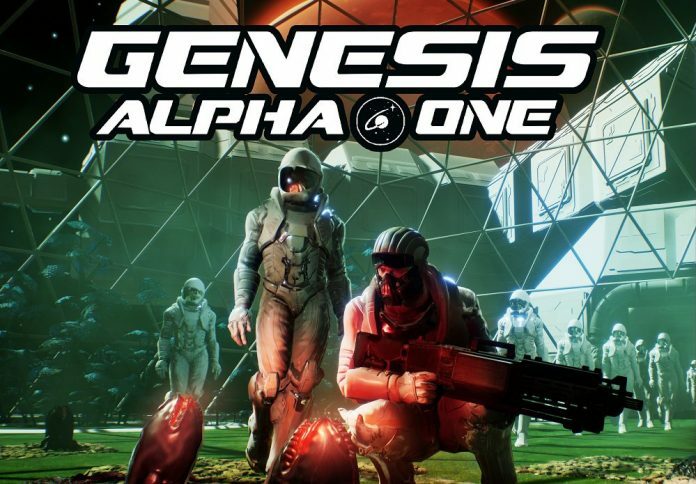 For all of the similarities that you could point out between Genesis Alpha One and other games that share similar aspects, there appears to be something genuinely unique and assuredly intriguing about this particular title. You can pick up Genesis Alpha One now on Xbox One, PlayStation 4, or PC. Look forward to the Scholarly Gamers’ review of Genesis Alpha One coming next week.